This website was established to disseminate information to the members of the constituent associations concerning the latest proposals of the Gardai and the Department of Justice and Equality to further restrict possession of firearms for sporting purposes without justification. A large campaign has been launched to fight these very unjust proposals and the website will be the focal point for all our supporters. It is a “one-stop-shop” for information, updates, commentary and direction to member associations, clubs, individuals, supporters and politicians and will assist everyone in helping to oppose these most unreasonable proposals. The site will be updated regularly and I will post the latest information as it arises. Please use the website as a tool to assist you in briefing and lobbying your constituency politicians and other public representatives. The proposals in the joint Garda/Department of Justice & Equality report are biased, self-serving, inaccurate and vindictive. They are justified by arguments which have no basis in fact and are supported with statistics which are purposely manipulated to present a picture which is false. We hope with your help, to educate those who will eventually be called upon to make the final decisions. 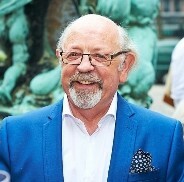 Please follow the news and get as many people as possible to sign the petition. Add your comments on the site. We can and will demonstrate to the political establishment that we are unbeatable together and that unless this issue is finally resolved satisfactorily, there will be electoral consequences for the Government parties. National Director, NARGC & Spokesperson for the Sports Coalition. Update on the FCPP meetings and the European “Weapons Directive” from Des Crofton. Details of S.I. & planned arrangements for the administration of the firearms licensing system. Press Release regarding the statement issued by the Joint Oireachtas Committee on Justice and Equality on 11th March 2015. 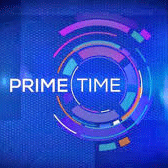 The Prime Time programme regarding firearms legislation is scheduled to be broadcast on March 10th, at 9.30pm.